The commercial van other vans aspire to be. The 2017 Mercedes-Benz Van – the commercial van that launched many imitators – will help your business always be ready for the road ahead. With tons of options to custom fit to your business’s needs, the Mercedes-Benz Van is the most advanced commercial van on the road today. Imagine a fuel-saving, 2-stage turbo diesel engine, Best-in-Class payload, cargo volume, interior standing height, available 4×4 drive train, advanced safety features and legendary Mercedes-Benz reliability that will help drive your business to success. The 2017 Mercedes-Benz Van—the commercial van that launched many imitators—will help you sprint ahead of your competition. Built to handle your cargo-carrying needs with ease, the Sprinter 2500 Cargo Van offers several top-notch features, such as a defined exterior look, refined cabin, a number of connectivity features, navigation, and the choice between 4-cylinder or 6-cylinder turbocharged diesel engines. In order to meet the needs of different drivers, the Sprinter Cargo Van is available in a variety of shapes and sizes. Designed to transport up to 12 passengers, the Sprinter 2500 Passenger Van is ideal for getting a group of riders from point A to point B both safely and comfortably. Shoppers can choose from 4-cylinder and 6-cylinder turbocharged diesel engines and take advantage of features like high-tech safety elements, connectivity options, navigation, and much more. The Sprinter Passenger Van comes in a few different configurations. The Metris Cargo Van aims to provide versatility and maneuverability that is perfect for transporting cargo in urban environments. It offers an exceptional turning radius as well as plenty of cargo space and hefty payload and towing capacities. Available features include navigation, convenient connectivity, advanced safety technologies, and a gasoline-powered engine with ECO Start/Stop. With a maximum seating capacity of 8 passengers, the Metris Passenger Van is built to transport riders in a comfortable, well-equipped interior while still offering 38 cubic feet of cargo space. It is designed to maneuver in tight spaces with ease as well as perform efficiently. Not to mention, the Metris Cargo Van comes with a number of high-tech connectivity features, safety elements, and navigation to improve the ride. *Prices effective for current model year only. Prices are not guaranteed and are subject to change without notice. Excludes tax, title, registration, destination charge, options and other smart center fees. Pricing will vary in Puerto Rico. 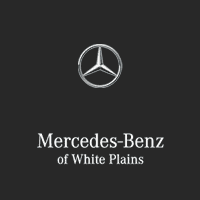 Mercedes-Benz of White Plains	41.02888, -73.773986.